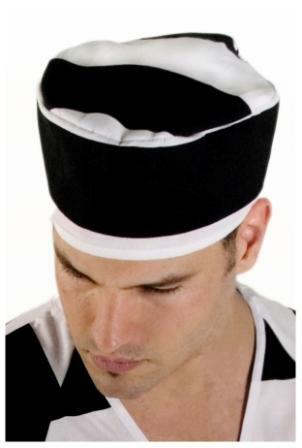 Inmate cap, black/white stripe only. Stripe placement will vary from cap to cap. with elastic back for self adjustment. Perfect addition to your costume. 65% Polyester/35% cotton, 3" stripe, standard prison issue.